2018 marked a record year for the Swedish Exhibition & Congress Centre and Gothia Towers in several ways. With a turnover of EUR 136 million, profits of EUR 23 million before depreciation and more than two million visitors, the Group achieved an all-time high while also celebrating its 100th anniversary. The accolades received by the Swedish Exhibition & Congress Centre and Gothia Towers in 2018 include West Sweden’s most attractive employer and the healthiest company in Västra Götaland. Upper House Spa was voted the best spa in Sweden and Upper House as a whole was recently ranked as Sweden’s best hotel on TripAdvisor, for the fourth year in a row. 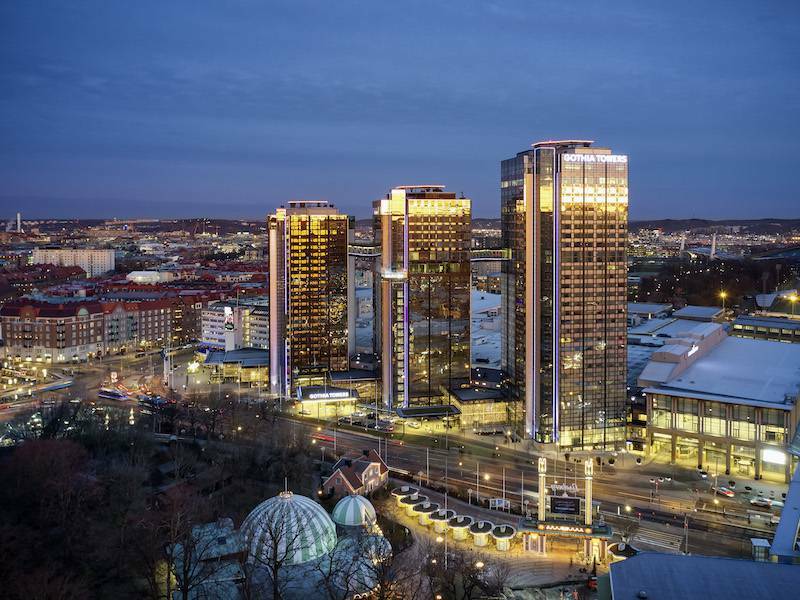 The record year is also reflected in tourism revenue, the amount of money that visitors to the Swedish Exhibition & Congress Centre and Gothia Towers spend in Gothenburg during their stay, on shopping, restaurants, travel, hotels and attractions in Gothenburg. Tourism revenue rose to EUR 312 million in 2018. A strong cashflow of EUR 14 million meant that the Swedish Exhibition & Congress Centre was able to reinvest EUR 11 million in its facilities over the year, including new premises, a new restaurant concept, new entrance and measures to increase digitalisation. Reconstruction of the congress hall entrance has begun, which will be larger than the current main entrance near Korsvägen. This entrance will in turn be upgraded during the construction of the fourth tower, which has been given the project title +One and is scheduled for completion in 2025.